Today I’m participating in my first Recipe Redo. I really need to do this more often because there are so many awesome recipes on my blog and I often make them again and again. However, some of the photos from my first few years weren’t great. I’ve also ended up tweaking many of the recipes to make them even better. 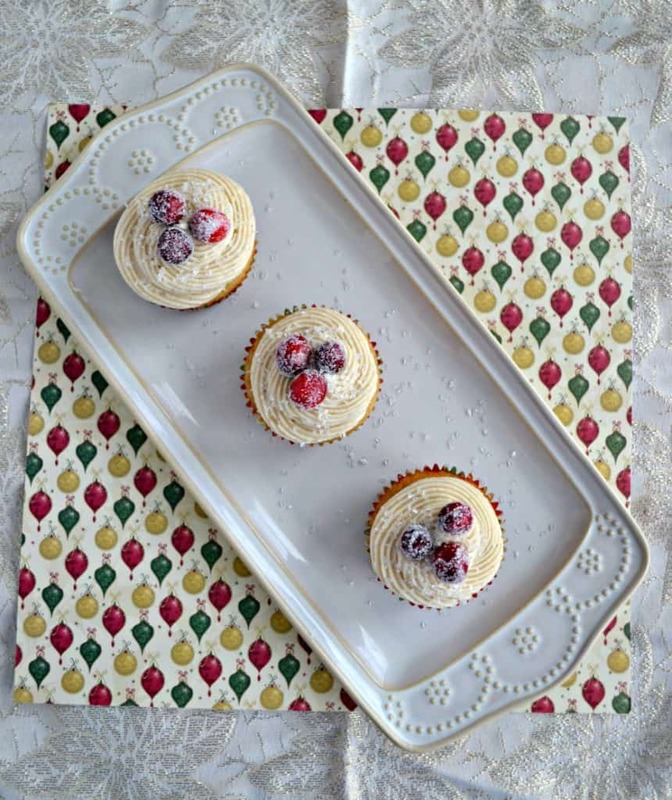 The first recipe I’m remaking are my Chai Cranberry Christmas Cupcakes. You can find my original post about them HERE. I’m kind of sad that my photos for the original post were lost in my blog transition but I’ll be honest, they weren’t that great to begin with. You will notice that my original recipe uses both butter and applesauce. Once upon a time I was trying to make even the most decadent desserts a little bit healthier but I’ve since decided that if I eat everything in moderation then full on butter is the way to go. It just makes them taste better. These cupcakes are perfect for the holidays. They start with making your own Chai spice with cinnamon, ginger, black pepper, all spice, and cloves. This spice goes in both the cupcakes and the frosting. It totally makes them taste like Christmas. The cupcakes are sweet and spicy and have a pop of tartness from the cranberries. The frosting is rich and creamy with just a hint of spice. 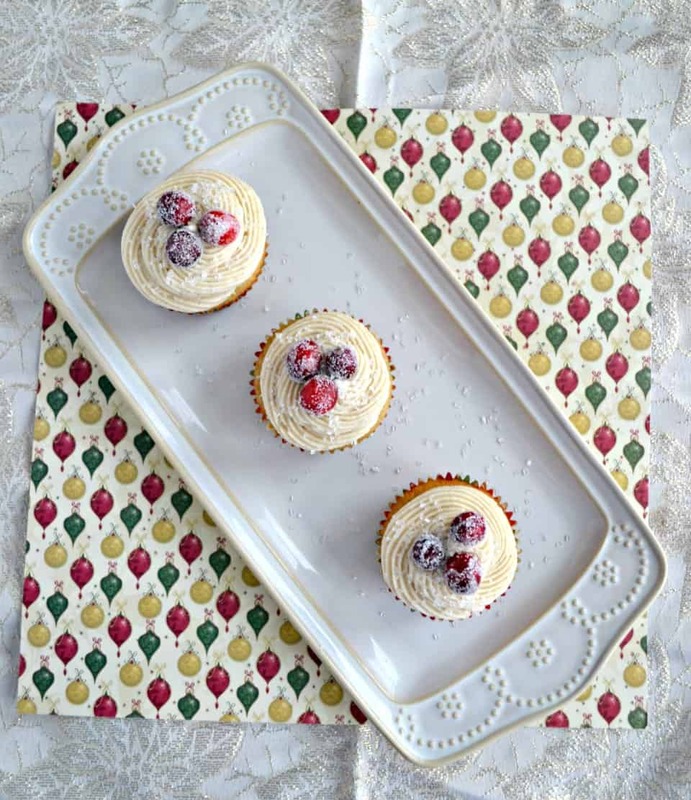 The sugared cranberries on top add a pop of color as well as additional tartness to the cupcakes. I love the way that they turned out. I also am really please with my revamped frosting. I think it holds up really well and just tastes really great. I passed a few of these out to my friends and I heard nothing but rave reviews. 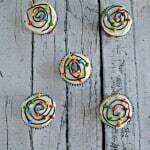 So if you are looking for a tasty holiday treat make sure you try these cupcakes! 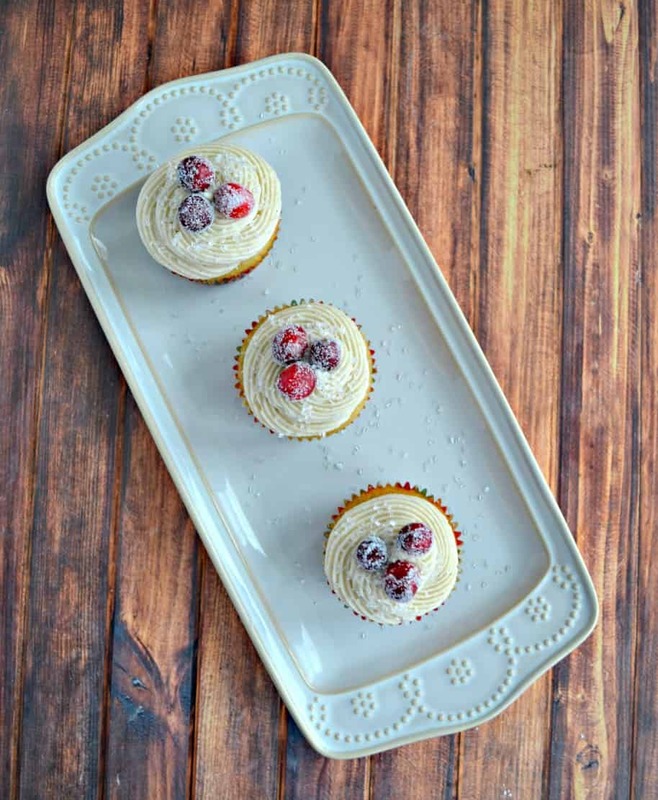 Delicious chai spiced cupcakes dotted with fresh cranberries topped off with a cream cheese buttercream and sugared cranberries! Preheat the oven to 350 degrees. Line 18 muffin cups with paper liners. In a small bowl combine all the ingredients for the chai spice. Stir until well combined. In a large bowl cream together the butter and the sugar. Add in the vanilla and eggs and mix well. In a medium bowl combine the flour, chai spice, baking powder, baking soda, and salt. Add half of the flour mixture to the butter mixture and mix well to combine. Pour the milk into the bowl and mix until well combined. Add in the remaining flour and mix until just combined. Fill the cupcake liners ¾ of the way full. Bake for 25 minutes. Remove from oven and cool completely on a wire rack. To make the frosting beat the butter and cream cheese in a large bowl with a mixer on medium speed. Add in the chai spice and vanilla and mix well. Add the powdered sugar a half cup at a time, mixing well after each addition, until the frosting is smooth. Add in milk until you reach desired consistency. Pipe the frosting onto cool cupcakes. Top each one with 2 or 3 sugared cranberries then sprinkle with sanding sugar. What beautiful cupcakes! I have some cranberries on the counter too, so this could happen! These are gorgeous! We are always making something new. It’s nice to remake a favorite isn’t it? Somehow, even after Thanksgiving, I’m still not sick of cranberries, which means these cupcakes look really good to me!!! These are so beautiful! Perfect for the holiday! I love cranberries! My sister is a huge chai fan, I’m going to have to surprise her with these! Such pretty cupcakes! These would be a show-stopper on any holiday dessert table. 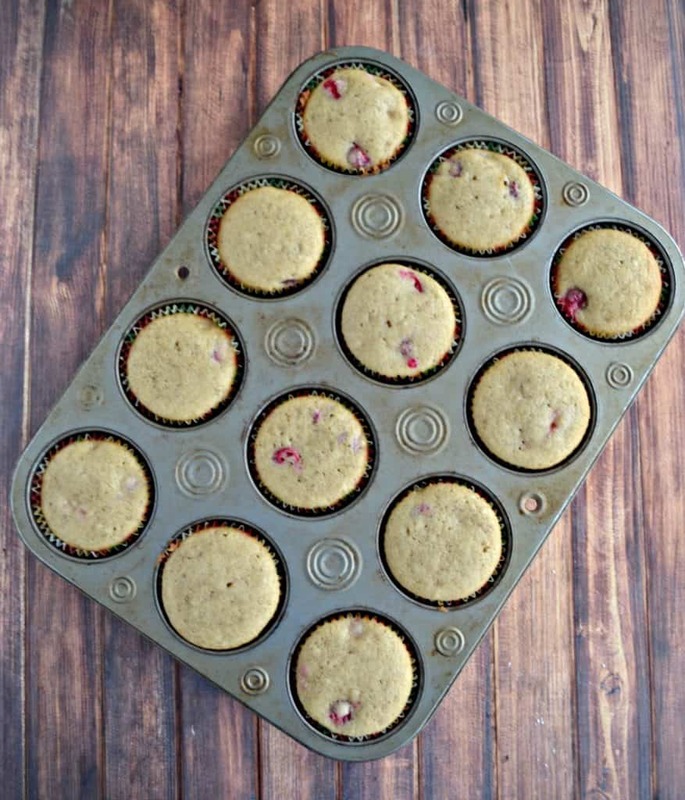 I have some leftover cranberries, I might just have to try these out. They are so pretty too!